Atlantic Coast Services offers expert in-house installations for all components and stages of your project. We are a ONE STOP SHOP. Atlantic Coast consultants will recommend the appropriate size and hood models to provide you with the best and most cost efficient solution to your needs. We understand the importance of providing the correct kitchen ventilation system. Beginning with our own field measurements, our design department creates detailed, scaled and engineered specific blueprints. No matter what the size and complexity of your project - from small restaurants to large projects, we become totally involved. Everything from mechanical parts, consulting with engineers, architects, roofing companies and inspectors. Coordinating the proper stages of installation assures you of our commitment to a scheduled completion. We complete all details, permits, plan submissions and other necessary documents to file with the appropriate authorities. Atlantic Coast complies with all special codes such as UL-300, NSF, NFPA-96 and South Florida Building Codes. Each city has different requirements and the time frame in which permits are issued depends solely on the city where it’s applied for. Atlantic Coast is on hand at each successive work stage related to the installation of the ventilation system. Your hood is installed by experts according to your scheduling needs. Off hour services ensure your kitchen does not have to close, if that is your need. We adapt to your satisfaction and assure you a professional installation. There are no limitations on size and shape. We handle one-of-a-kind ventilation systems, our designers will help create a system which fits each of your needs and everything will be manufactured in house at our shop. We provide assistance to solve even the most complex ventilation issues. 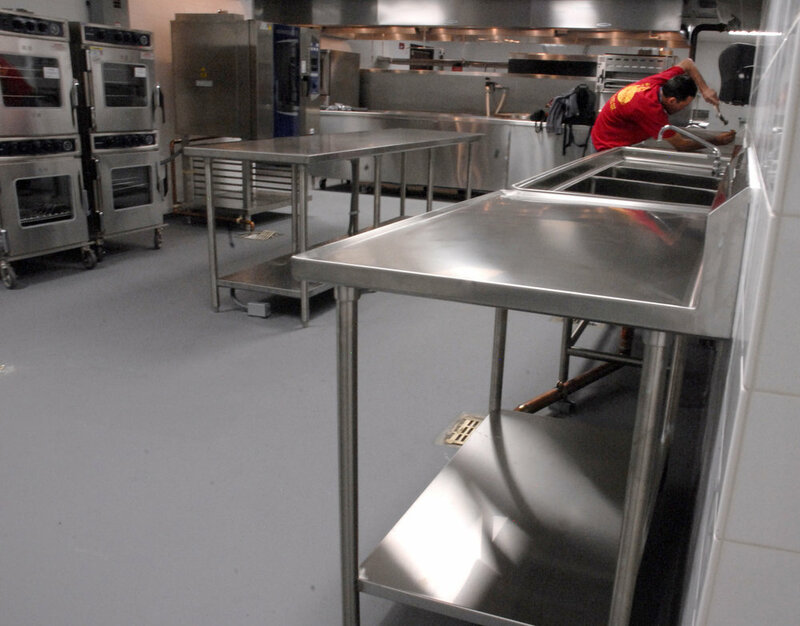 Restaurant operators know that wet chemical systems are the only real solution to their fire suppression needs. A fully mechanical system assures dependability. Systems are installed according to UL-300 standards. We are proud distributors of Range Guard and Pyro-Chem. Your system will be adjusted to create proper atmospheric balance, eliminate negative pressure and prevent loss of costly conditioned air. A test and balance report is provided, per code. We coordinate both rough and final inspections with all the required agencies which assures precise quality control standards.